Best known for his boldly colored abstract oil and acrylic canvases with jagged forms in sometimes dense compositions Emerson Woelffler was active in this style until his later years when macular degeneration made working in color difficult. He then began using white crayons on black paper in a looser style. 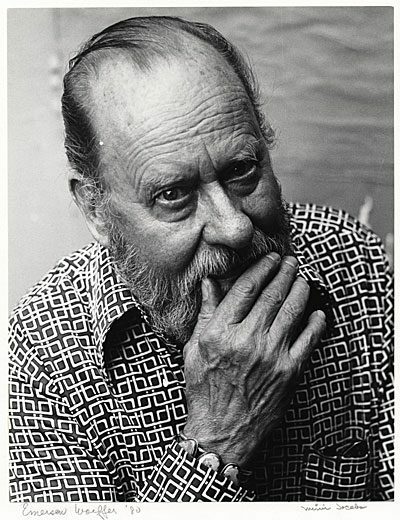 He was also a sculptor and lithographer and lived in both Chicago and Los Angeles.